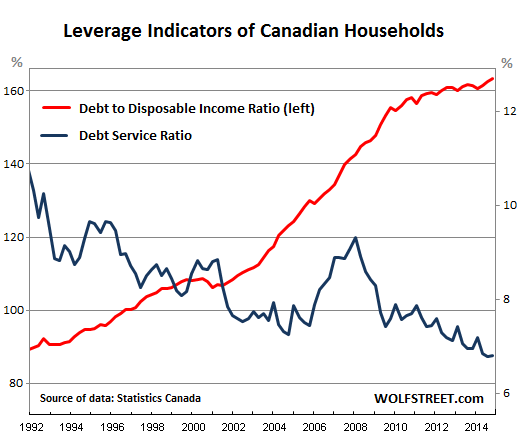 Debt by Canadian households is a special phenomenon. Statistics Canada reported today that in the fourth quarter, household debt set another breath-taking record. Earlier this month, even Equifax Canada, which is in the business of facilitating and increasing this indebtedness, had warned about it. The total indebtedness of Canadian households, according to its own measure, had jumped 7.7% from prior year, which had already been at record levels. The biggest culprits were installment and auto loans. Households are powering consumer spending, and thus the overall economy, with ever larger amounts of ultimately unsustainable debt. A “a cautionary tale,” the report called it. The rapid decline in oil prices caught many by surprise. And, that’s the point – consumers and business owners need to be more vigilant. When economic change happens, it can happen very quickly and can challenge previously observed stability of key economic and credit indicators. In other words, as the price of oil collapsed, as housing stumbled, and as layoffs began – the “economic change” that “can happen very quickly” – the “stability” of different aspects of the economy, including household debt, is suddenly at risk. It’s a warning that consumers might buckle under that mountain of debt. Now Statistics Canada weighed in. In Q4, household borrowing, on a seasonally adjusted basis, jumped by C$22.6 billion from the third quarter. Credit cards and auto loans accounted “for the majority of the overall increase.” Total household debt (consumer credit, mortgage, and non-mortgage loans) rose 1.1% from the prior quarter to C$1.825 trillion, with consumer credit hitting $519 billion and mortgage debt C$1.184 trillion. And how did that impact households? For the third consecutive quarter, disposable income increased at a slower rate than household credit market debt. As a result, leverage, as measured by household credit market debt to disposable income, reached a new high of 163.3% in the fourth quarter. In other words, households held roughly $1.63 of credit market debt for every dollar of disposable income in the fourth quarter. The ratio of debt to disposable income picked up speed from 2001 on. It blew through the financial crisis even as US households were whittling down their debt by deleveraging and defaulting. Canadian households didn’t even stop to breathe. They kept spending and piled on debt at an astounding rate. Their incomes rose also, but not nearly enough. It wasn’t until 2011 that the red-hot growth rate started to lose some of its fire, bumping into all sorts of resistance from reality. With interest rates getting pushed lower year after year, interest expense as a percent of disposable income – the debt to service ratio – has been declining. For the moment, these low interest rates keep the whole thing glued together. And if interest rates ever rise even by a smidgen? The blue line would do what it started doing in 2006. It would roar higher. With consumer indebtedness at these levels, even a small increase in interest rates will make a big difference in the interest expense consumers would have to fork over. The Bank of Canada – kicked into panic mode by the collapse of oil prices, the faltering housing market, vulnerable banks, and other nagging issues, including the indebtedness of the consumer, which it pointed out as a risk factor last year – suddenly cut its benchmark interest rate in January. 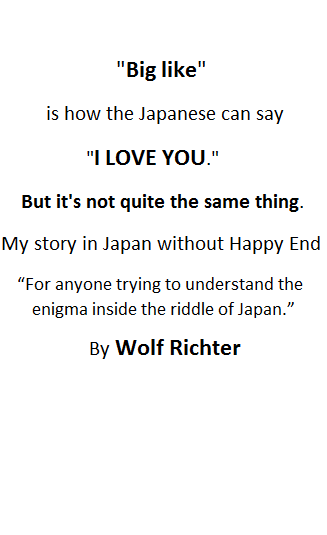 In the past, it communicated such moves in advance. In January, it was a surprise move that shocked the markets. Today, Rhys Mendes, Deputy Chief of the Bank of Canada’s Economic Analysis Department, told the House of Commons finance committee that the central bank would “not necessarily” be pressured into following the Fed’s rate increases this year. “The bank targets inflation in Canada, and decisions regarding monetary policy in Canada would be based on the outlook for inflation,” he said, presenting the central-bank smokescreen for keeping rates at near zero for other reasons. The Bank of Canada will have trouble ever raising rates, regardless of the distortion and mayhem near-zero rates are causing. Households can no longer afford higher rates. They have too much debt and not enough income. Higher interest payments would eat into spending on other things. Higher mortgage rates would crash the still magnificent home prices. Consumers would buckle under their burden and default. Not to speak of the already struggling oil companies. And then there are the banks that have lent with utter abandon to all of them. Years of low interest rates encouraged this dreadful level of leverage. Now it’s an albatross around the neck of the Bank of Canada, and for decades to come. And for the economy, it’s a high-risk burden that could quickly, as Equifax suggested, blow up. My bank sent us a new card called a Premier card. The wife thought it was a replacement debit card and activated hers. I have an active platinum card with a zero balance that I keep in case I have to rent a car out on the road, but this new one doubles what I can charge. I have been aggressively paying down my cards left over from a lot of medical costs from a few years ago. Figures. When I needed them they cut me off at the knees on my max credit line and tried to jack me for 32% money. I told them it was usury and cut off active cards I’d had for years @ 10% and just kept the one. After abusing me I’m suddenly worthy again. Idiots. There seems to be a general ‘wilful’ blindness to the impending catastrophe awaiting Canadians. While there are likely many causes for this, I tend to see one of the primary ones as the ongoing culture of ‘infinite growth’. I live in what was once a small town (Stouffville) that several years ago decided the appropriate moniker for the area was ‘Town Close to the City’. I find it hilarious considering that this small town has had the fastest growth (about 10%/year) of home construction/population for almost 10 years now and has become yet another suburban extension of the city of Toronto. In fact, here’s what the Community Profile states on the Town’s website: “Whitchurch-Stouffville is a lively, fast-growing town, that has maintained the small town atmosphere valued by residents and businesses. The population increased 54.3% between 2006 and 2011. In the years to come Whitchurch-Stouffville is forecast to continue steady growth towards 60,600 people by 2031.” Construction of condos and homes on postage stamp-sized properties (both at unsustainable prices) continues to steam roll along and the Town Council continues to spend and plan like there’s no tomorrow (which there might not be if/when the housing market turns). I’ve seen absolutely no evidence of prudence or concern by the council, media, or general population. I know the reasons for this are varied and that the day of reckoning will be seen as a black swan event that no one saw coming (always a convenient excuse). If there’s one thing history shows us, it’s that we always seem to ignore the lessons of history believing that ‘this time is different’. The Canadian debt story is a bit clouded by including and confusing credit card debt with credit card limits. For example, I am 59. My house has been paid for since I was 45. I have never had an outstanding credit card balance and use just one for gas purchases or online orders. Every year they kept raising my damn limit until it was at $23,000.00!!! (I kid you not). I offered to buy a new Yaris on the Credit Card and the Toyota dealer requested a personal cheque, instead!! Unreal. Yet by reporting standards I was $23,000.00 in debt! A couple of months ago I called MasterCard and asked the limit be reduced to $10,000.00. It took about 3 minutes. I guess I am just $10,000 in debt.. Hah. Every month or so I get mail offering me to use my MasterCard account as a chequing account, and they send me cheques. They proclaim how wonderful this will be to renovate my house or ‘take that long awaited tropical holiday’. I throw them in the woodstove. My son, 31 went through a separation and had to pay off his partner divorce style. They were both oil field trades and lived very well…better than “dad”. Anyway, after some debt increases and using the card when he shouldn’t he used a home equity line of credit to pay off his card and tore it up and burned it. He has no credit card, not even for his business. He will have his beautiful home free and clear before he is 40. However, because he has a leased PU for his business he is considered to be hugely in debt, despite the fact his accountant recommends it is the best way for him to roll. Yes, many people do live beyond their means, and I know a lot of people in that category. But everyone I know who is 50 (or over) has a house paid for and are well on their way to solid retirement footing. But if they have a card in their wallet or a personal service business with a floating credit line they are supposedly in debt. The stats are misleading. Yes, there will be some houses and toys for sale pretty damn soon. In a year they may be cheap enough to be worth buying. Until then maybe the banks and loan companies will stop sending debt soilictitations in the goddamn mail. Not everyone is smart enough to use them for lighting woodstoves. So where did the “cash” to buy all the $400K+ second homes in Palm Springs, Phoenix and Vegas come from if not their home equity? We see the Canadian snowbirds living large here in the desert, driving massive trucks and fancy sports cars. I can only imagine the growing temptation to cash out now that the loonie has lost over 20% in value and the oil patch is cratering. I think the housing market is being set up for a fall. High end housing, in my area is not moving. I am speaking of homes above 250K in a rural setting, small towns. I have been monitoring these same houses now for two years, no movement. The priciest homes 350K and up are stagnant. Nothing, no movement. The house has to match the dream over dream from seller to buyer it seems. Not many dreams are sold. The down payment is a real issue as I think the buyer is locked into payments that are attached to the home and can’t be accessed until a sale is made. Then there as you say their lines of credit and consumer loans. A vicious circle. I’m on the West Coast and I can confirm almost everyone I speak to is living pay check to pay check, Many are using credit cards to purchase grocery’s every month unable to pay down their cards. I have ran into people in their 60’s that are only paying the interest on their homes unable to pay any principle because the cost of living continues to increase well beyond what the general public is being told. I have a good friend that has had a PHD political science for just over 40 years and he has confirmed inflation is increasing at 7% annually in Canada. So with the cooked up CPI numbers how can the debt ratio ever come down? it can’t because the middle class wages are stagnant so at some point this ship is going to sink. How to stop this? You’ll never halt the credit expansion: standards just keep dropping as loan demand by credit-worthy qualified borrowers becomes more scarce. The only way to do it is to go after the source: people’s jobs. And the ongoing collapse in natural resource prices is the ticket. Those F-150 truck loans, massive mortgages, trophy wives, cell-phones-for-the-whole-family, NFLX subscriptions, quad bikes and powerboat purchases are utterly dependent on the high incomes of two groups: those in government and those in resource industries. And both will be in trouble when resource prices crash…the cure for high prices is…low incomes. I spoke to you about a friend of mine who writes a Blog on the Canadian Economy, Housing and why economically things cannot continue down this road. I would like to share this great Blog with all of you, as Gerold is a great Author and expert with a PHD in the field. Below is his newest Canadian Article. Over the last several decades the Canadian people, their elected politicians and Bank of Canada governors have teamed up to create quite the economy, standard of living, and way of life in this country. Why would a normal optimistic human not borrow all they can “afford”, and beyond actually, as – all normal optimistic humans know – the future will always be better than the past. Only people with frugality OCD, or pessimists, don’t live at the minimum payment boundary. What’s the worse that can happen? Bankruptcy? HA, come on. Do the frugality OCD people think that’s a punishment? What the pessimists, and those with frugality OCD, can’t comprehend is that when you’re dead you’re dead, and the various deities don’t care if you borrowed or not. Life is about maximizing your bling. That’s what debt is for: to get all the bling you can before you die. I should have added to my previous comment, that I’m not sure if/when the influx of Chinese money and Chinese people will stop. Canada is still a premier emigration location. China could double Canada’s population and not even notice anyone left. Anything remaining of a national character in Canada would be gone … maybe that doesn’t matter. When mah-jong replaces hockey, we’ll know the transformation is complete.